Wholesale Square Vase. H-18", Pack of 12 pcs, Opening 3.125" x 3.125"
Home » Square Vase » Opening 3.125" x 3.125"
Square Vase. H-18", Pack of 12 pcs Discounts Apply ! 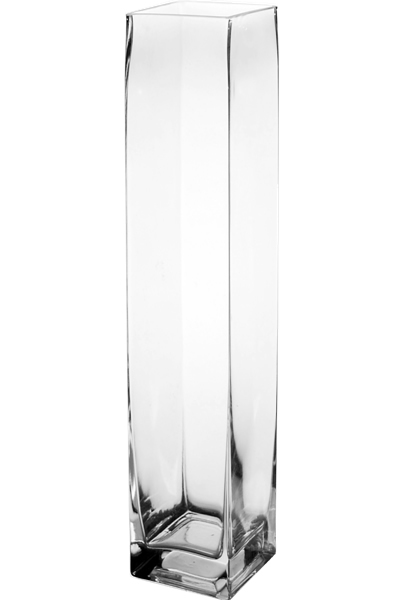 Dress up your mantle or tabletop with this bright and clear square glass vase. Hand Blown from beautiful, durable glass in a classic square design, this wide-mouth vase is perfect for storing anything from candy to flowers to potpourri. Square vase is becoming the standard for modern interior design due to its edgy simple design. Dimension: H-18", Open - 3.33" x 3.33"